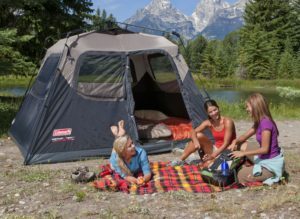 Wenzel Camping Tent Review – Are They Good Tents? 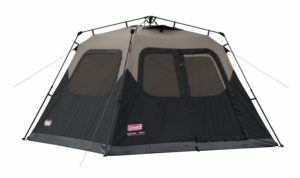 This is our Wenzel camping tent review. 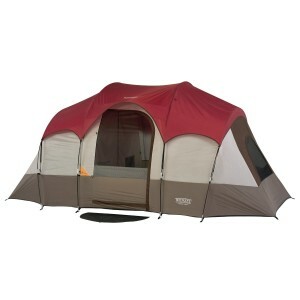 To go the Wenzel Camping Tent official website, click the link below. There are many tent manufacturers out there today, but when you buy a Wenzel camping tent, you’re getting a tent designed and built by a company who’s been producing outdoor gear since 1887. Wenzel makes tents that range in size from a small 2-person “pup tent” to a massive 17’ x 14’, 10-person tent. They also produce a 10’ x 10’ canopy which makes a great sunshade in summer or a waterproof cover in the rainy season. One feature that makes a Wenzel tent differ from other tents is the waterproof fabric. Their “Weather Armor” fabric is made of polyester and actually has a polyurethane coating to help it shed water. Another thing you’ll find on a Wenzel camping tent is welded seams in the floor. 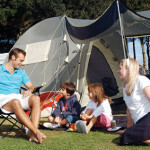 Most tent manufacturers have sewn seams which create millions of small needle holes. These small holes eventually could allow water to seep in. Not so with the Wenzel tent. 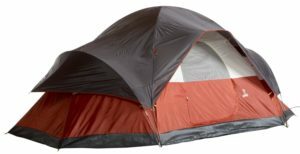 This is our Kelty Grand Mesa 2 Tent Review. If you’re looking for the official Kelty Grand Mesa tent site, make sure you click the link below. Your pack weighs 12 pounds. Your sleeping bag weighs 4.5 pounds. Your cook stove weighs 2.8 pounds. On and on it goes. Before you know it you’re lugging 80 pounds up a 7 mile trail to your favorite lake. Backpacking gear needs to be as light as possible. Ounces count. Your tent is no exception. The lighter, the better, right? 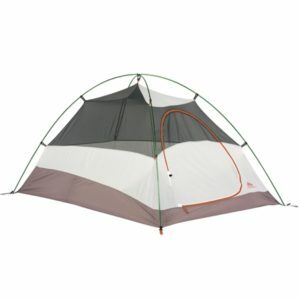 The Kelty Grand Mesa 2 tent weighs in at 4.5 pounds complete with poles, stakes, and rain fly. It has a footprint size of 82” by 58”, and it’s 44“ tall – a little tight for two hikers, but plenty of room for one and his/her gear. 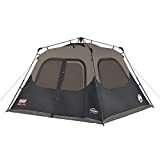 There are lighter tents than the Kelty Grand Mesa 2, but they cost twice or three times the price. 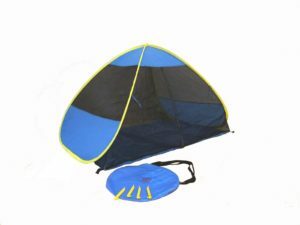 This makes a good starter tent or for a hiker who only goes out a few times a season. 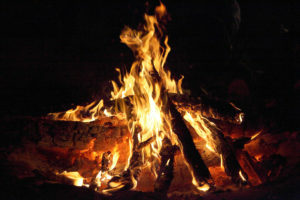 Because of the colder, wetter climate, winter tent camping requires some different techniques and equipment than summer or fall camping. 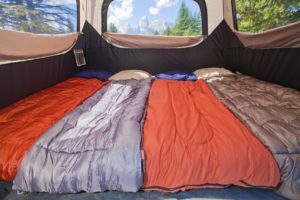 Some manufacturers make tents and sleeping bags specifically for winter camping. When I was young, I did a lot of camping in the summer and fall. One year I thought it would be “cool” (no pun intended) to try my hand at winter camping. But because of my limited income as a young man, I did not purchase a winter tent or sleeping bag. To make a long story short, I and my buddies almost froze to death that night! We set up our tent on the snow (which was okay if you have the right tent) and melted snow (a.k.a. water) started seeping through the non-waterproof floor and into our sleeping bags. Needless to say, we packed up our stuff in the middle of the night and hiked back out to our car and “cranked” up the heat! Fortunately, we were only a mile away from the car, and nobody got frost bite. 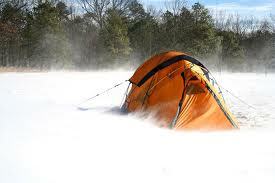 But we all learned the hard way that winter tent camping was not the same as warm weather camping. 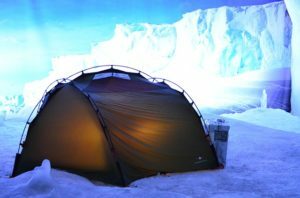 So what exactly do you need to do and/or purchase to have a successful winter tent camping experience?